The side effects of Flagyl (metronidazole) are typically mild and very manageable. The most common include abdominal discomfort, nausea, diarrhea or constipation, headaches and dizziness. Darkening of the urine has been reported with Flagyl as well, but is not a cause for concern. More serious Flagyl side effects to be aware of include seizures, numbness, paralysis, mood and behavior changes and changes in vision. Though rare, these side effects are dangerous and should be reported to a healthcare provider immediately. These side effects are generally manageable for the duration of the regimen. However, if you experience persistent side effects that are difficult to manage or disrupt your daily routine, you should contact your healthcare professional. Do not stop taking Flagyl on your own as your underlying infection may return without adequate treatment. 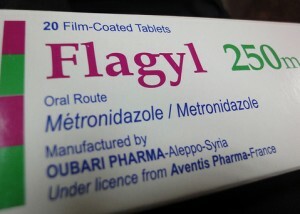 Flagyl side effects are rarely significant enough to cause the patient to stop taking the medication. As this is a short-term treatment, minor side effects are typically manageable. Some may even go away as your body adjusts to the drug. It is important to note that taking Flagyl and similar antibiotic medications too often can decrease the potency of these treatments. Always finish your regimen completely to avoid a relapse of the infection and the need to start a new dose.